There are so many ways to get involved. Whatever your resources or skill sets, whether you’re a company, organization or individual, we need your help. Join us in equipping the next generation of leaders with the skills, opportunities, and resources they need to succeed. 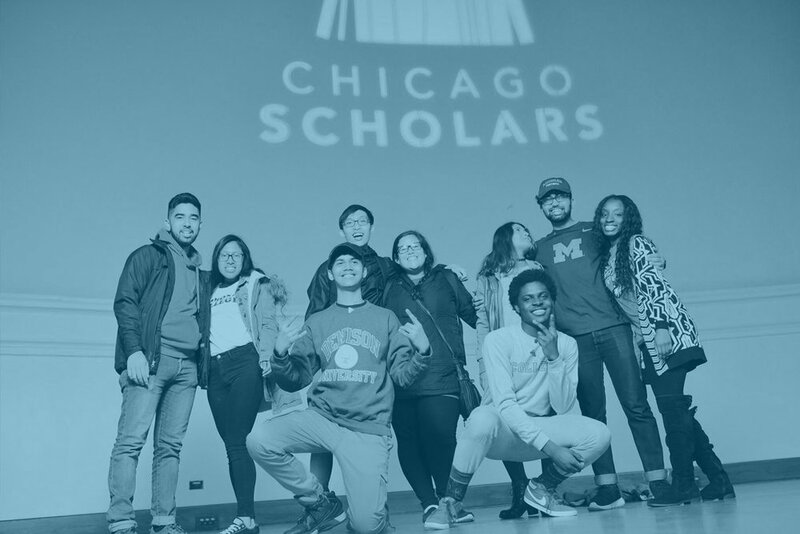 Chicago Scholars partners with Chicago’s top companies to help our talented, first-generation, under-resourced Scholars transition successfully into college and careers in Chicago. Our talented Scholars are Chicago’s future leaders, and by accelerating their leadership potential, our High 5 Partners create a diverse talent pipeline that keep their companies—and our city—economically sustainable for years to come. Companies looking to invest in Chicago's future talent in multiple tiers. We believe strong partnerships with colleges and universities are crucial to student success. Chicago Scholars officially partners with more than 175 colleges and universities across the nation. Colleges and universities looking to recruit the most talented students from 75 communities in Chicago. Chicago businesses–seeking the best talent in the city—understand the many benefits of a diverse workforce. We connect talent with opportunity. Businesses looking to access a diverse group of Scholars who have attended some of the best schools in the nation and give their employees opportunities to mentor the next generation of Chicago business leaders. Chicago Scholars partners with community-based organizations to collectively impact high-potential, underserved students in Chicago. Community-based organizations looking to establish a stronger network of relationships and gain access to more resources and events. People looking to serve as important guides and offer advice to our first-generation and under-resourced youth as they tackle the college admissions process during their senior year of high school, their transition to college, and ultimately throughout their first year of college. Additionally, Career Mentors support Scholars in learning about career paths, building their resume and expanding their network.